THE MAIN DIFFERENCE BETWEEN PARENTING OLDER KIDS VERSUS YOUN - ProudMummy.com the Web's Community for Mums. 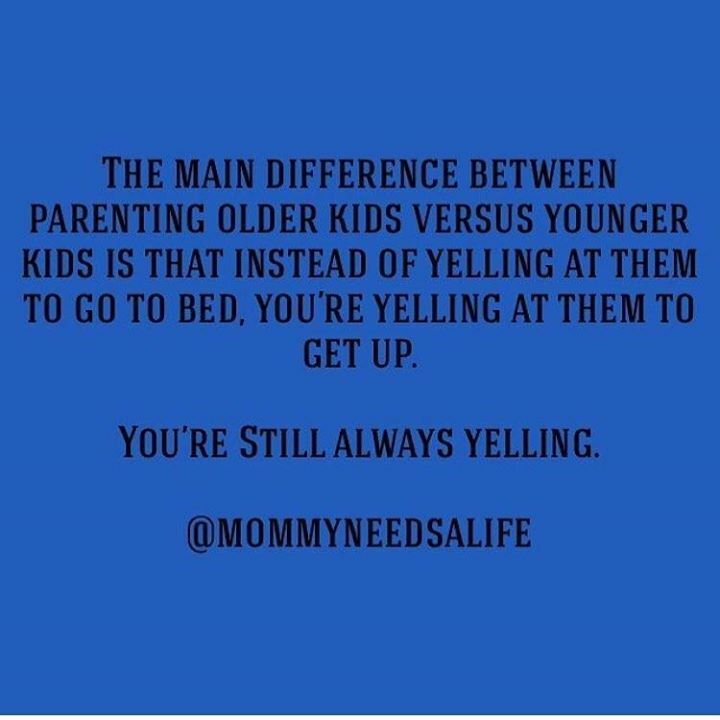 THE MAIN DIFFERENCE BETWEEN PARENTING OLDER KIDS VERSUS YOUNGER KIDS IS THAT INSTEAD OF YELLING AT THEM TO DO TO BED, YOU'RE YELLING AT THEM TO GET UP. YOU'RE STILL ALWAYS YELLING. I leave them there. However they are great getting up from school. Rossi Markwell who’s this ?